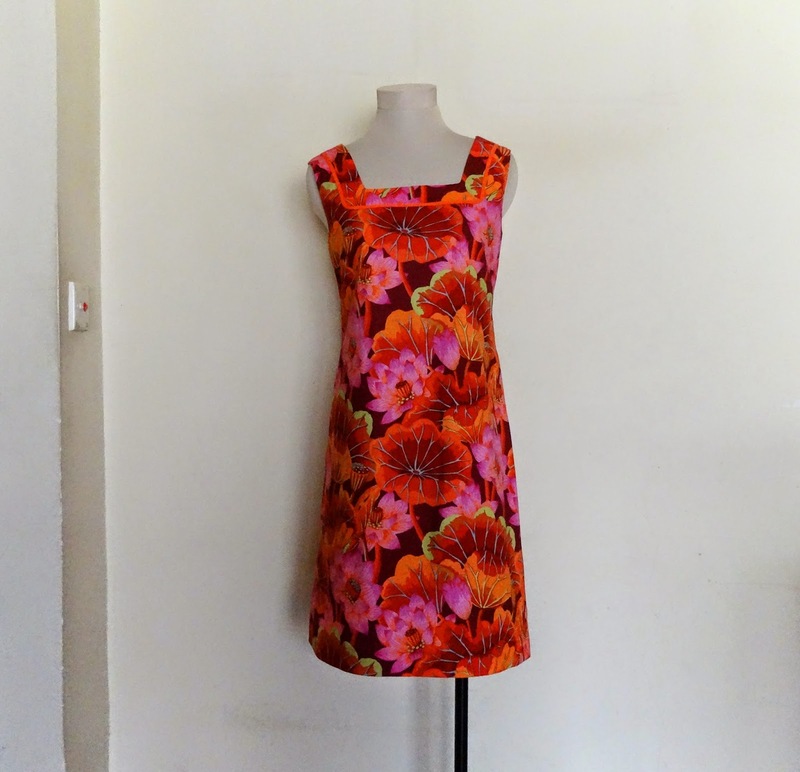 For the pattern, I used Burdastyle Vintage Modern Jamie Shift Dress size 34 with modifications and for the fabric, I used 2 yards of floral cotton. Happy sewing and have a wonderful Thursday! Beautiful! I love everything about this fabric. The clean lines of the pattern really show off the beautiful print. Great work on the piping on the facing. It's beautiful. No need to apologise - things happen and plans don't always happen :). This is a stunning dress - as Barbara says, a print like this needs simple lines to show it off to it's best advantage. I love the print on the fabric, and such a flattering shape.